The Hotel AirInn Vilnius is situated on the territory of International Vilnius Airport (app. 50 meters away from it). The experience of 17 years enables the Hotel to provide you with high-quality services (accommodation, restaurant, parking, sauna, beauty salon, sport club etc.). Each guest will be served attentively and with a proper care. You will be welcomed by a smiling Hotel Administrator, who is ready to provide you with any information you need about the Hotel, environs, Vilnius City. Please do not hesitate, just ask a question! All number of rooms have been renovated. The renovation has been undertaken along with the consultancy of qualified and experienced designers. 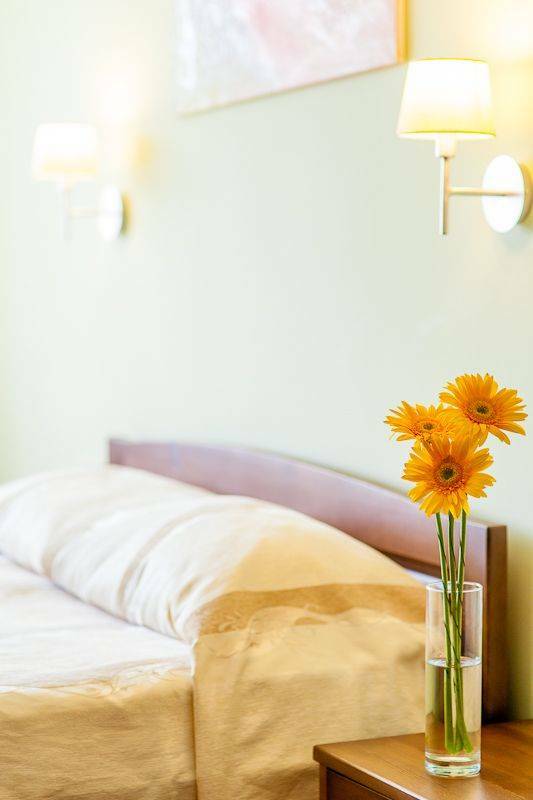 The rooms are accommodated to guests having various tastes and needs in order to ensure they feel comfortable there. Business class room - A fully renovated room surrounded with a cosy home mood for your relaxation and work. The room has a work desk, television, telephone, refrigerator, spacious bathroom with shower, glazed balcony, business information set and other advantages for business entities. If cancelled up to 18:00 on the date of arrival, no fee will be charged. If cancelled later or in case no-show, the first night will be charged.